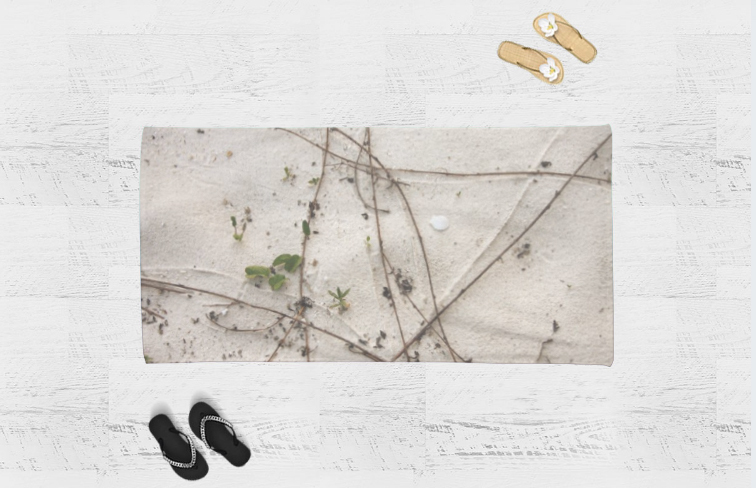 A custom-designed photo beach towel can be a great way to express your style at a beach, pool, or waterpark. Sporting your favorite pictures and artwork, your custom towel will be easy to find in a crowd. Besides looking unique, it’ll have the exact design and pictures you love. It’ll draw your attention immediately, while also catching everyone else’s eye. Our customized beach towels can be excellent gifts for kids, too. Instead of searching for a good beach towel that matches their interests, you can put whatever they like on the towel you create. Horses, cars, owls, aliens, butterflies… It doesn’t matter. Our towels can show it off. Your kids or grandkids may end up loving their beach towels so much that they’ll want to use them at home year-round! We have a range of designs that could fit all kinds of photos and fashions, both for children and adults. You can choose a colorful towel, like the “Funky Shapes” or “Orange Retro” designs. Or, for a sleek look, get a black-and-white towel, like the “Gallery” or “Black Grid” designs. For a water-themed design, check out the “Catch a Wave,” “Aqua Damask,” or “Underwater” beach towels. Or simply choose a picture with water, and make that the main design. You don’t even have to limit yourself to one photo. Our towels can fit several pictures, giving you space to show off all your pets, interests, or (grand)kids. They’ll all be printed on the front side of the towel using high-quality, sublimated printing. This method of printing ensures that the dye goes directly into the fabric. In other words, your photo(s) will be part of the towel itself. They won’t rub off or get damaged, even after a summer full of bright days at the beach. Our beach towels are all made of 100% polyester on the front and 100% cotton on the back. We use this combination of materials to create towels that are super soft, highly absorbent, and long-lasting. They’re machine-washable, as well, so you can throw them in the washing machine even when they’re covered with sand. We’ve designed our beach towels to maximize your fun. They’re comfortable, colorful, and easy to care for, helping to make your summer vacation a little more wonderful. Check out our custom tote bags if you’re looking for something to carry your beach towel and any other useful items the next time you go to the beach or pool.